Tell the Ukrainian Public Prosecutor to open a case against far-right thugs “C14” for attacks on Romani families throughout Ukraine. 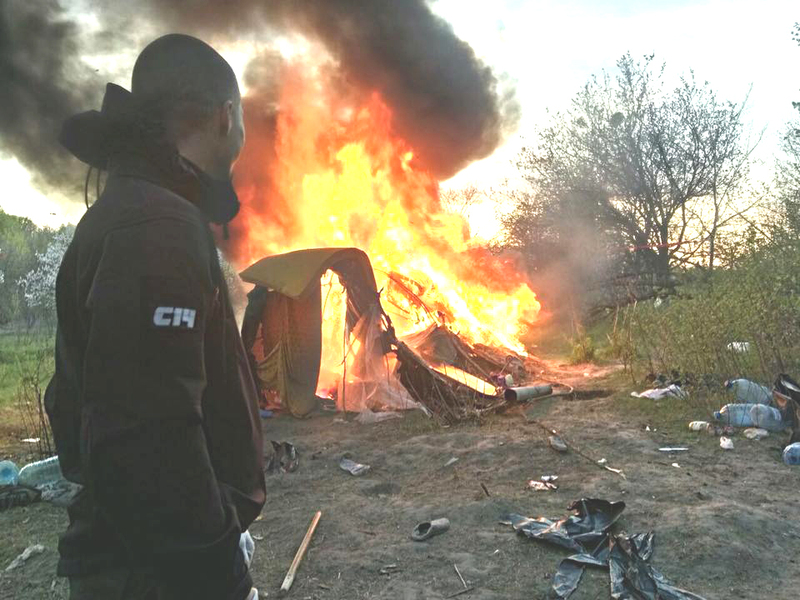 On 22 May in Velika Berezovitsa, Ternopil, on 10 May near the village of Rudne, and on 21 April at Lysa Hora, Kiev – far-right thugs attacked Roma camps and burned their homes to the ground. The negligence and sometimes complicity of national police officers in these far-right hate attacks on Romani families is particularly concerning. We are asking the Public Prosecutor to open an investigation into these cases of escalating violence against Ukrainian Roma, and ensure that these attacks are investigated for racial motivation. You can help my sending an email to the Public Prosecutor asking for a full investigation into the violence, and into the actions of “C14” and its members. The Public Prosecutor has the power to legally ban or cease the activity of this dangerous, paramilitary organisation who are committed violent attacks against Romani families.